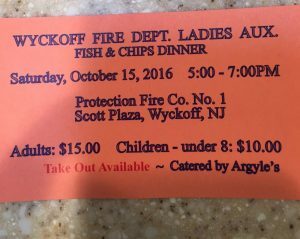 Come out on Saturday, October 15 to support the Wyckoff Fire Department Ladies Auxiliary at their annual Fish and Chips dinner. 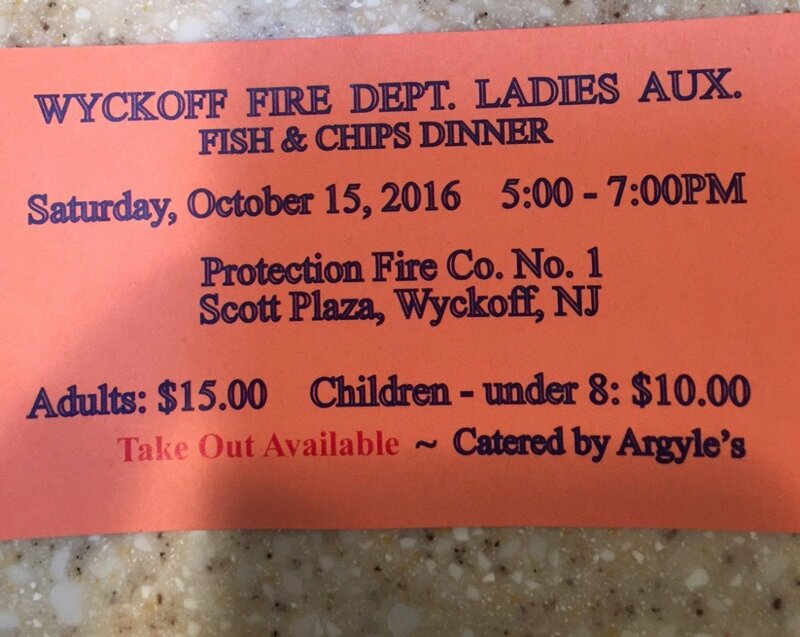 The event will be held at Company 1, located at the Wyckoff municipal complex, from 5-7 p.m. Tickets are $15 for adults and $10 for children eight and under. Take out is available. Please support this great cause!